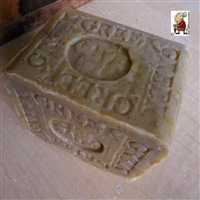 Natural Artisan Handmade Facial Soap. Made without the artificial and synthetic ingredients found in many conventional brands. Unscented Soaps from natural handcrafted soap is gentle and leaves the skin feeling clean and fresh. Care for your sensitive skin - without the artificial or synthetic ingredients that you don't want on your skin today, or in your world tomorrow ..
Greek Olive Oil Soap and Greek Oils.